Well what can i say , i'm back kinda. Basicly last week the good old British National Health service surgeons, went out of their way to save my lil old life. I'm kinda back in the land of the living, it's like 6am in the UK at the mo & i'm wondering wtf i'm doing sat at my comp lol. My appologies, to everyone that has stopped by to collect my part of the "Holly Jolly Blog Train" i'll get it up on my blog as soon as i can sit here for more than 10 seconds. Thank you for all the messages & emails, i'll work my way through them as soon as i can. I'm also going to get a Sale going on my Christmas kits in the next day or two, so keep your eyes peeled. 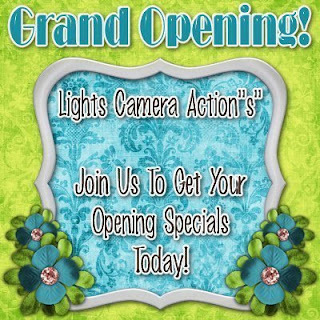 Lights Camera Actions is now open & i'm delighted to be selling my kits there. There are huge savings on tons of kits over there, get over there and bag yourself a bargain! 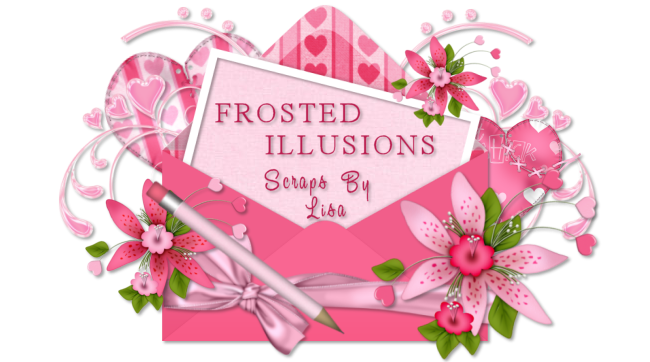 Gina has written this gorgeous new tut using my "Mr Frosty" kit. It's truely beautiful, animated snow the lot. You can find it on Gina's site HERE go take a looky! I've put my Christmas Kits together in a discounted bundle over at Aussie Scraps. You can get all 4 of my kits in tagger size for $8 and full size for $9. This offer is for a limited time only so dont miss out!! Well what can i say about this sad excuse for an after birth. This woman "Pirate Queen" aka "LizThePirate" feels its perfectly fine to hit on stores then upload all the kits, mine and many others directly to rapid share, for any idiot stupid enough to download them. Why does she do this you may ask yourselves, well people like her, seem to have nothing in life apart from their pathetic little net egos, they crave attention by "sharing" pay to use things with complete strangers. I think it must make them feel superior in life somehow. Maybe it accounts for the fact they have nothing in life *shrugs* who knows.She shares most of her stuff through two groups both by the name of " Sensual Psp Resort" Shame on the managers of these groups, they boast about being great groups that abide by rules, blah blah my backside!! I think most of the stores have been covered with this womans details. If you are a store owner and haven't yet recieved them, you can drop me a line from your store email addy HERE & i'll pass them on. Elizabeth, Pirate Queen, what ever you wanna call yaself. It's time for a change of name Treacle, i think "Stupid Queen" is more your line.